Reports are circulating that Yahoo Inc. executives would like to sell a minority stake in the company by year end. If a minority stake is not sold the company could also move in an entirely different direction according to insiders familiar with the company’s potential plans. Citing an unnamed sources The Wall Street Journal says at least three bids have been placed for a minority stake in the company, bids that were required to be filed before the end of the company’s Monday bidding deadline. According to reports one bid came from TPG Capital while another came from a consortium of partners that include Microsoft Corp., and Silver Lake Partners. While bidding shows an interest in the company it’s believed that the bids each came in at $16 and $18, below the current price Yahoo would like to receive but generous compared to their current $15.70 per share pricing structure. In the meantime there’s still a chance that Yahoo could choose to sell off their Asian assets, including their 40 percent stake in Alibaba group and 35 percent stake in Yahoo Japan or perhaps even accept a buyout by Alibaba Group CEO Jack Ma who has expressed interest in taking over the company. 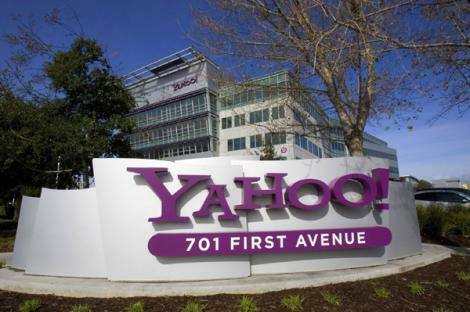 Other groups attempting to examine and potentially acquire Yahoo are Bain Capital, Blackstone Group, Thomas H. Lee Partners, Hellman & Friendman and Providence Equity. What do you think the best move for Yahoo would be at this point in the acquisition game.